#thenewscompany : Florida police shot and injured a gunman “yelling” about US President Donald Trump in the lobby of a Trump Organization-owned golf resort near Miami, authorities said Friday. 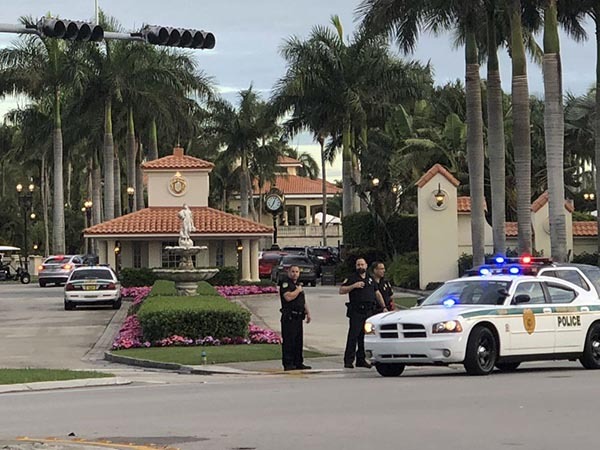 Officers from both the Doral and Miami-Dade Police Departments responded to reports of shots fired at the Trump National Doral golf resort in the early hours of Friday morning. The Miami-Dade Police Department confirmed in a statement that there were no known victims. Local media reported the unidentified assailant was shot multiple times and transported to a local hospital, while one officer suffered a wrist injury not related to gunfire. According to reports, police said the man was “yelling and spewing” information about the president and had draped an American flag over the hotel lobby’s counter. On Twitter, Eric Trump — President Trump’s son and executive vice president of the Trump Organization — expressed a “huge thank you to the incredible men and women” of both police departments. “We are very grateful to you!”, he wrote.